How do I test on stm32f103? Hello. 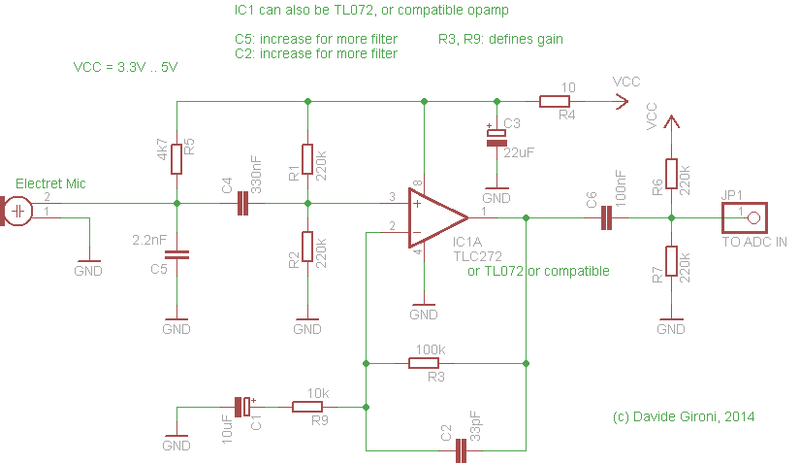 This is just a preamplifier, you just have to connect it to the ADC of you STM32F103 and use calls from the stm32f10x library, to me that's the simple way. 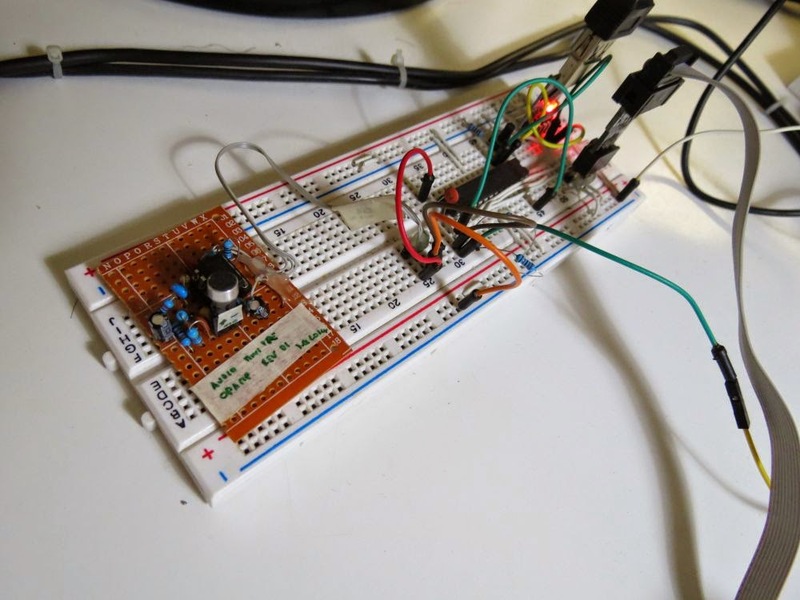 When connected to the STM32 power it up with 3.3v. This works in non inverting mode I think (and not in inverting mode as stated). Hello and thank you for making me notice the error. Yes it's non inverting mode. Yes it depends on the mic sensitivity, with my mics, the response is quite good using both a 5v or 3.3v VCC. This is looks like a great op amp for my project. Have you got a clear picture of the whole circuit for reference?